Maren Cardillo Elbaum, Legal Director, has been practicing for more than a decade exclusively as an attorney-mediator at Divorce Mediation Professionals. She received training in divorce mediation at the Ackerman Institute for the Family in New York City. Maren dedicates her entire practice to assisting couples in finding constructive resolutions for all of the issues pertaining to their separation and divorce and provides all related legal services, including drafting agreements and qualified domestic relations orders. Maren holds a B.A. in history from Northwestern University and received her law degree from Fordham University School of Law, where she was a member of the Corporate and Financial Law Journal and participated in the Conflict Resolution and Alternative Dispute Resolution Program. Maren regularly pursues advanced training and course work in family law and mediation and is currently an active member of numerous professional organizations, including the American Bar Association, the New York State Bar Association, and the National Association for Conflict Resolution. Maren is also an Accredited Member of the New York State Council on Divorce Mediation. 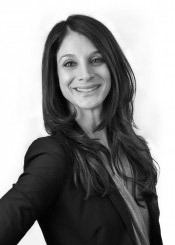 Maren was named to the “New York Metro Super Lawyers Rising Star” list in the area of family law for 2014. Education: Northwestern University, B.A. ; Fordham University School of Law, J.D. Maren Cardillo was featured in the Long Island Business News in May, 2015.